The SunSaluter is a low-cost solar panel rotator which boosts efficiency by 30% and produces four liters of clean drinking water each day! 1.5 billion people lack access to electricity, and 750 million have no clean water. These groups often overlap, leaving hundreds of millions of individuals without life’s most basic necessities. There are technologies capable of remedying these issues, but none are simple nor affordable enough. Solar panels are too expensive, and clean water products frequently fail because they are not user friendly. SunSaluter’s goal is to make energy and water more accessible through one simple device, and to help local entrepreneurs build businesses around it. 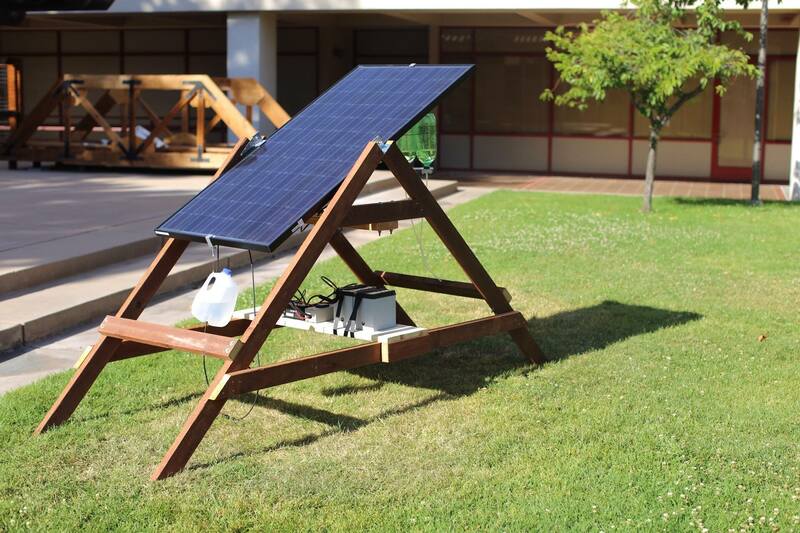 The SunSaluter is a low-cost solar panel rotator designed for the developing world. Using gravity and water, it rotates a solar panel throughout the day, generating 30% more electricity. It is 30 times cheaper than motorized solar trackers and far more durable. It also produces four liters of clean drinking water each day. By combining energy and water collection into one simple device, consistent user behavior of the purifier is improved. The SunSaluter is a single-axis tracker, wherein a solar panel is balanced on a hinge. A weight hangs from the west end of the panel, and a special container of water with a waterclock is hung from the east end. The container is filled in the morning so it is heavier and the panel faces east. As it empties, the balance shifts and it rotates to face the sun all day. The user controls the drip rate, and therefore the rotation speed. Occasional adjustments can be made to accommodate seasonal changes. An optional water purifier is inserted into the container, so that all water is purified before exiting the SunSaluter and being consumed. The SunSaluter comes as a kit and the user builds the frame from wood, bamboo, or other common materials. This makes it affordable, sustainable and locally serviceable. Eight pieces of material are required, costing about $3-4. The SunSaluter eliminates the he need for a fixed-angle mounting structure, so it does not consume much more material in total. There are already 130 SunSaluters in 16 countries and the technology has undergone more than 60 iterations. To bring the SunSaluter to scale and benefit as many people as possible, we need to get boots on the ground installing systems, promoting the technology, and bringing partner organizations on board. These partners will be critical in sustainably distributing and servicing SunSaluters in markets around the world. Since the SunSaluter augments existing solar and water technologies, but is not a standalone product itself, we work on a business to business model to integrate our products with that of other organizations. There is tremendous interest among off-grid solar organizations for a low-cost solar tracker, and we must prove that the SunSaluter can meet their needs. Therefore we need to deploy more SunSaluters as demonstration units to bring customers and distributors on board. Meanwhile we must also manufacture at a large scale to bring down costs and make the SunSaluter most affordable for consumers at the bottom of the pyramid. SunSaluter (our organization) will handle the research and development, manufacturing, and partnership building. Our three person engineering team in Bangalore, India, is hard at work improving upon the design and building bigger systems. With funding, they will devise efficient manufacturing processes. We will also hire a Country Director to build relationships with the many off-grid and clean water companies in India to create sales channels. Lastly, our US-based management team will continue working at the global scale to build partnerships in Africa (particularly East Africa), Asia, and Latin America. Partner organizations (e.g. off-grid solar companies and non-profits) will play a critical role in introducing the SunSaluter to end-users. They will be compelled to provide the SunSaluter to their customers and/or beneficiaries because it is a high quality, affordable, and impactful product which enhances their current work. Some partners may even be able to manufacture their own SunSaluters in order to lower costs. If we can build a global network of distributors and manufacturers, the SunSaluter will be available to millions of people in the developing world. There are many challenges to ensuring successful implementation such as needs assessment, user education, access to finance, and after sales service. However these vary dramatically between locations. That is why partner organizations, which have already developed locally appropriate systems and methodologies, are crucial. SunSaluter seeks to be a capacity builder and technology provider regarding our low-cost solar tracking technology, but we wish to leave the human-centered implementation to partner organizations. 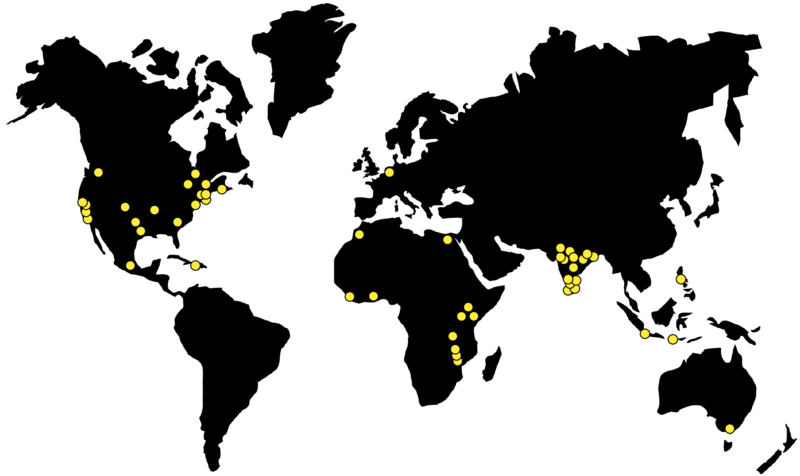 The majority of work will be done in the two locations where SunSaluter has already established operations with partner organizations: India and Malawi. However, work will commence in new locations as more partners enlist to bring the SunSaluter to their markets. Probable next locations are Mexico, Uganda, and the Philippines. A kerosene lamp emits 0.1 tons of CO2 emissions per year.8 Assuming each kerosene lamp can be eliminated by a solar lantern with a one watt panel, then a SunSaluter installed on a typical 100 watt panel generating an extra 30 watts of energy to power 30 lanterns can eliminate three tons of CO2 emissions per year. Therefore, 6.6 million SunSaluters are needed to save 20 million CO2 emissions per year. With over 2 gigawatts of off-grid solar already installed worldwide, the solar infrastructure is already in place to be easily retrofitted with our inexpensive technology. At a target cost of $10 per SunSaluter, this could be accomplished for $66M. We believe this could be achieved by 2024. The SunSaluter is a simple technology which amplifies the impact of high-tech solar panels. The SunSaluter’s frame can be made from wood, bamboo, or other common materials which mitigates consumption of the precious materials used in solar panels. A SunSaluter-mounted panel also generates energy more consistently throughout the day and can reduce the system’s need for environmentally harmful batteries. 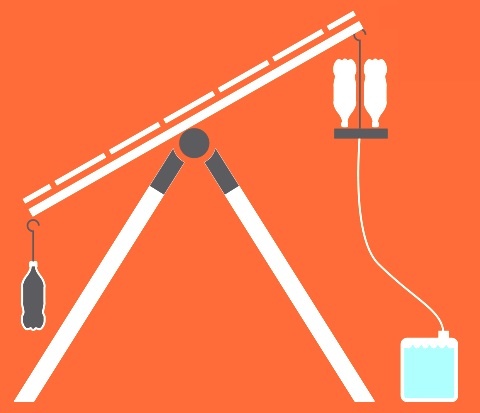 At the OneMama Clinic in Kirindi, Uganda, an installation has allowed women at the health clinic to eliminate the usage of kerosene, create a phone charging business to bolster their income, and have clean water for cooking. In the village of Khoiri in India, kerosene usage has dramatically fallen and households are saving an average of 250 rupees ($4 USD) per month. SunSaluter-mounted solar panels also produce energy several hours earlier in the morning compared to fixed panels, which is a critical benefit for early rising rural farmers who rely on them for lights and irrigation pumps. The cost of the SunSaluter is less than $15 USD, and we believe that can be lowered to $10 through research and large-scale manufacturing. To scale our organization to the point that we are financially sustainable through sales and licensing and can finance our own philanthropic projects, we seek to raise a total of $250,000 in awards, grants, and donations. Currently, the SunSaluter must be placed on flat surfaces such as the ground or flat roofs. For ground-level installations, there is an increased risk of theft compared to fixed installations on roofs. There is also the risk that if the SunSaluter malfunctions, the user may not repair it, and could leave the solar panel in a sub-optimal fixed position, causing it to generate less power. This is however mitigated by the facts that a) the SunSaluter is made from common materials and can be repaired easily, and b) the rotating axis can be locked in any desired fixed position. All of the proposed actions can be phased in within the next two years. Since the SunSaluter is a simple technology which has already been proven through a number of deployments, it is simply a matter of disseminating the technologies and creating a sustainable business structure around it. Developing sustainable businesses around the SunSaluter technology should allow it to continue spreading for decades to come. Ultimately, however, within 50 years, solar panels may be inexpensive enough that tracking is no longer economical. 1. Energy - The Facts. The World Bank. 2. IEA PV Roadmap. International Energy Agency. 3. Lighting Asia: Solar Off-Grid Lighting. International Finance Corporation. 4 Solar Tracking Systems in India. Climate Connect. 5. Solar Tracker gT5. Greeneraindia. 6 Report Projects Massive Solar Growth in India. Steve Leone, Renewable Energy World. 7 India’s Solar Power Capacity Tops 2,600 MW. CleanTechnica. 8 Case Study of Barefoot Power Ltd, Africa and Global. Ashden. What immediate actions can we take to address energy-water nexus challenges?